Last week we were all prepared to have a huge blizzard here in Rhody. I actually started my day off at work but the roads started to look really bad so I headed home in the late morning. About an hour after I got home it turned to rain....therefore it was my "snow" day. Since I was already home and hanging out I decided to whip up some healthy banana muffins. My mom always would bake banana nut muffins and I would devour them in twos or threes. Since Tim and I are trying to lose weight, eat healthy, and work out at least 4-5 times a week I decided to try a healthy recipe I found on Pinterest. I found this recipe on ifoodreal.com and the muffins turned out pretty well. I do have to tell you they are nothing like those muffins that my mom used to make but since they are a healthy version I didn't expect them to be. 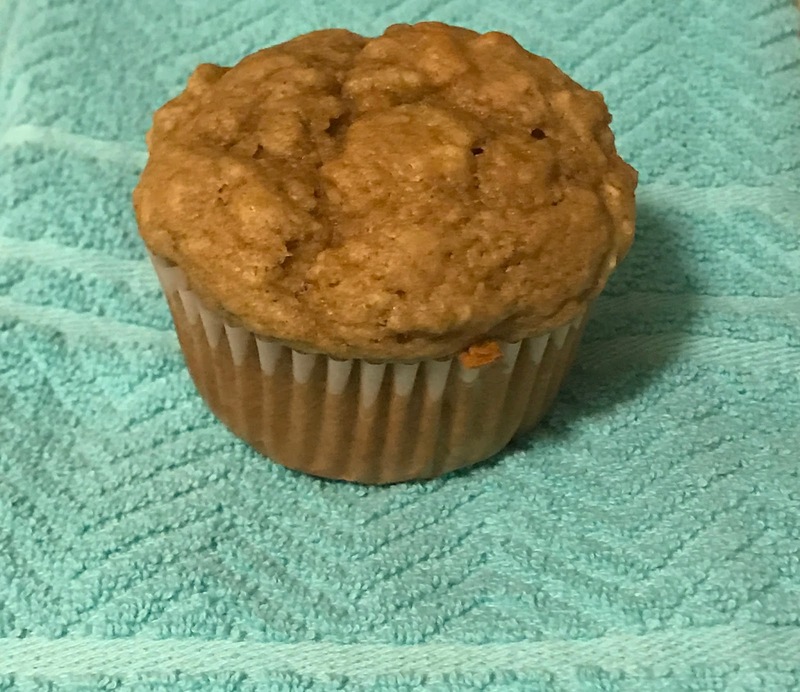 I did love when I got a banana bite because that was by far the sweetest part of the muffin. Tim reviewed them as good and I was pretty impressed that I made them from scratch. - Preheat oven to 375 and either spray your muffin tin (12 muffins) or put cupcake liners inside. -Add all remaining ingredients except for the flour and mix everything together. -Add the flour and stir all ingredients. -Fill each tin (or cupcake liner) with batter and bake for 22 minutes. - Take out muffins, allow to cool and then enjoy!